Five Behaviors of a Cohesive Team™ is the official training program based on the bestselling book, Five Dysfunctions of a Team and has a simple goal: To facilitate a learning experience that helps professionals and their organizations discover what it takes to build a truly cohesive and effective team. The central element of the training program is the DiSC-powered Five Behaviors personal profile, which guides teams towards better engagement and higher performance. 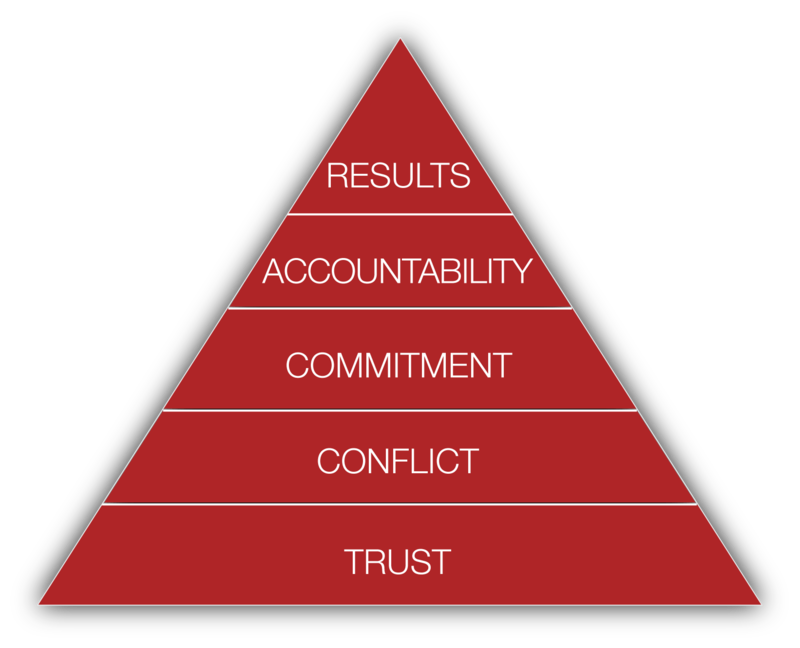 The Five Behaviors profile, which provides both individual and team feedback, is grounded in the model described in The Five Dysfunctions of a Team, the internationally best-selling leadership fable by Patrick Lencioni. With this program, participants will learn how, as a team, they score on the key components of the model: trust, conflict, commitment, accountability, and results. Additionally, the program is powered by Everything DiSC®, a model that helps individuals to understand themselves and others better. Using these results, participants will be able to create a better, stronger team. Contact us for more information as an Authorized Partner of Five Behaviors of a Cohesive Team.